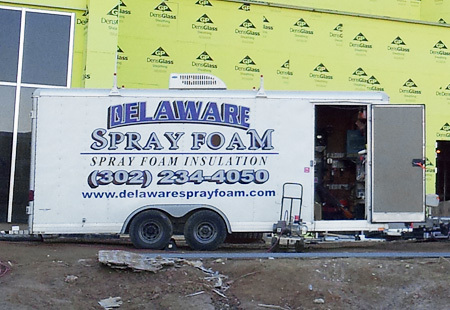 Delaware Spray Foam is a family owned and operated company that has been in business since 2001. The owner, Todd Pote, has worked in the construction industry for over 25 years. He started out working for his father's construction management firm which specialized in designing buildings for the pharmaceutical industry. It was during this time that Todd saw how applying "building science" to reduce air infiltration in buildings made them more energy efficient, created a healthier environment, and increased the comfort level for the individuals inside. In 2001 Todd started Delaware Spray Foam to offer these services to the public. We are trained in Building Science (Building Performance Institute/BPI and Resnet/HERS Rater) which allows us to look at your building as a system. We do not use high pressure sales tactics like some companies. When you call Delaware Spray Foam for an estimate, we take the time to educate you. You will not simply receive a proposal with a price. We take the time to explain what we are going to do, why we are doing it and how it will improve your building. At the end of a project, we want our customers to be so satisfied with our service that they would refer us to a friend or family member without hesitation.